The I-Pace's cab-forward design combines supercar contours with the smooth silhouette of a coupe. 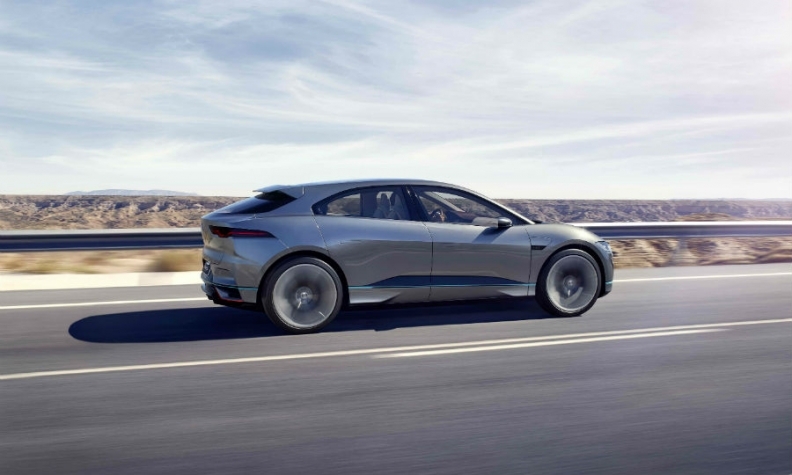 LOS ANGELES -- Jaguar is joining the race among luxury brands to market electric vehicles with the I-Pace crossover concept introduced late Monday ahead of the Los Angeles Auto Show. The production version of the EV will be shown in late 2017 and go on sale in the U.S. in the second half of 2018. Customers will be able to submit an order for one on the company’s website beginning late Monday, Jaguar said. The EV will have a targeted range on one charge of 220 miles (355 kilometres). That's close to that of the much smaller Chevrolet Bolt. 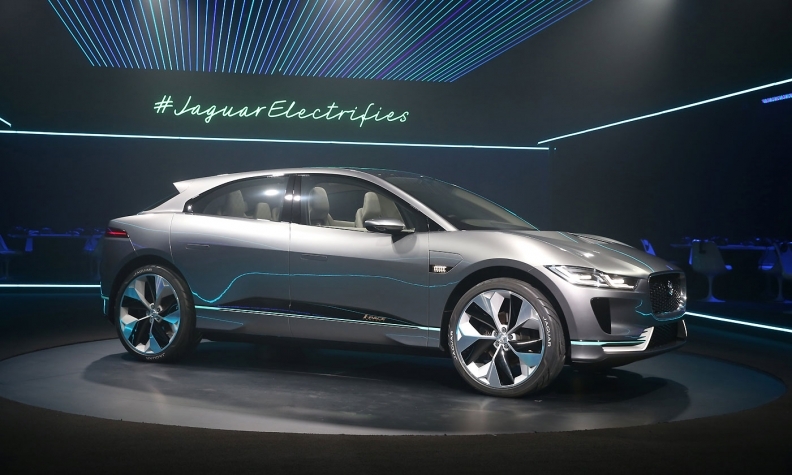 Jaguar’s crossover is expected to beat several German competitors to market as Tesla Motors Inc. steadily upends the luxury EV market with the Model X and automakers face regulatory pressure worldwide to boost fuel economy and lower emissions. Audi will launch sales of the Q6 e-tron electric SUV in 2018 while Mercedes' EQ concept unveiled at the Paris auto show on Sept. 29 previews a coupelike SUV that will be introduced before the end of the decade. Porsche plans to sell a production version of the Mission E battery-powered sports car by the end of the decade. Jaguar’s concept resembles a sportier version of the F-Pace compact crossover -- the vehicle that has fueled the brand’s U.S. sales revival this year. “The I-Pace Concept is a radical departure for electric vehicles. 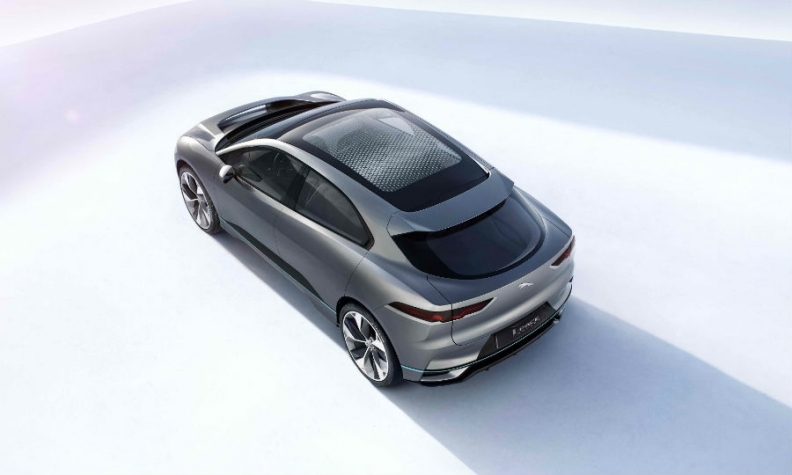 It represents the next generation of battery electric vehicle design,” said Ian Callum, director of design for Jaguar. The exterior has a cab-forward design, taking cues from Jaguar’s 2010 C-X75 supercar with a coupelike silhouette. Callum calls the design “bold” and a new direction for EVs. Jaguar said the vehicle can be 80 per cent charged in 90 minutes and 100 per cent in two hours using 50kW DC fast charging. 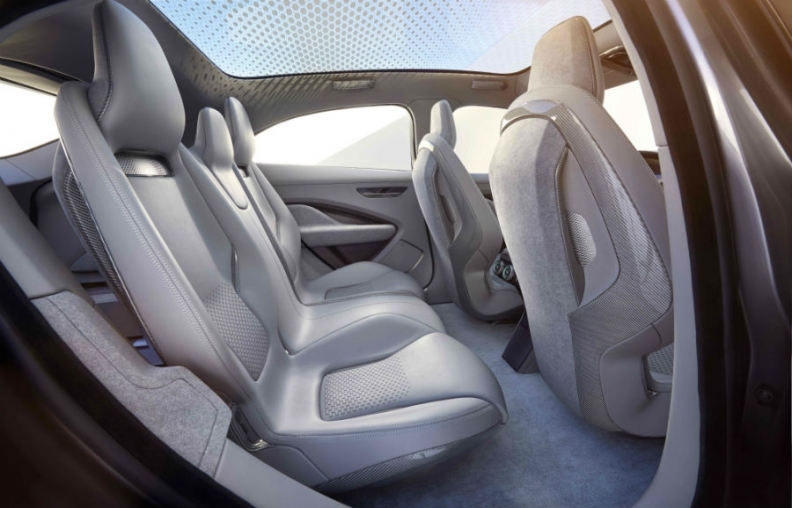 The concept has a Jaguar-developed, liquid-cooled 90kWh lithium ion battery pack, that uses pouch cells that are energy dense and has a better thermal performance. The pack covers the entire floor of the vehicle, lowering the centre of gravity and boosting the dynamic performance, Jaguar says. The I-Pace Concept has the dimensions of a compact crossover with a 117.7-inch wheelbase. It is slightly shorter than the standard F-Pace but features a longer wheelbase than the F-Pace. Overall, it is 184.3 inches long and 74.4 inches wide with a height of 61.4 inches. The I-Pace has a low hood and wide wheel arches to give it a sporty look. It features a hood scoop and full LED headlights. The rear has a composite spoiler to reduce lift at higher speeds. In addition, to reduce energy consumption during highway driving the I-Pace benefits from a drag coefficient of 0.29, which is very low for a SUV or crossover. The driver and passenger sit lower than in a typical crossover. Jaguar says the cab-forward design improves drive visibility and the flat floor creates a roomier interior. Jaguar used the free space created by the lack of transmission tunnel and traditional gear shifter to create an 8-litre storage area in the central console for phones, keys and other small items. At the same time, with no engine, the front luggage compartment under the hood offers nearly an additional cubic foot (28,300 cubic centimetres) of capacity, alongside the 18.7-cubic-foot (0.59 cubic metres) rear luggage compartment volume. The electric motors are located on the front and rear axles and provide 400 hp and 516 pounds-feet of torque. The concept has all-wheel drive and traction control technology including All Surface Progress Control and Adaptive Surface Response, which improve stability and handling on all road surfaces and weather conditions. The concept crossover can accelerate from zero to 60 miles per hour (zero to 96 kilometres per hour) in about four seconds, Jaguar says. The front suspension system has the same double-wishbone as the F-Type sports car and the F-Pace crossover.